Every business needs to stand out from the crowd in the 21st century. The market is too saturated and the competition too fierce to hope customers notice your brand. 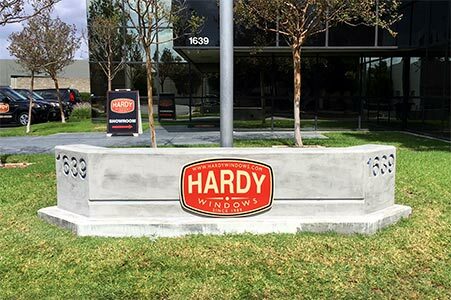 Today, there are plenty of ways to do it, one of the best ways is custom made aluminum signage as it gives the company the visibility it needs to succeed in the modern age. 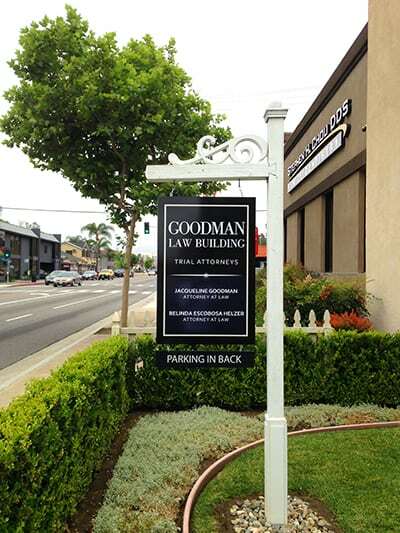 Nothing says curb appeal better than high-quality, custom made building signs outside of your front door. Here at Sunset Signs, we are a UL and C45 listed sign contractors that can take care of your needs. Whether you need something manufacturing, installing, replacing or repairing, we have the skill, tools and experience to get the job done. Whether the projects and the clients are big, small or medium, we work with them all and listen to our customers’ needs to nail the right specification. By the end, you’ll be wondering why you invested in methods other than signage before, and why it took you so long to get in touch. After all, we provide a one-stop shop including design, manufacturing, installation to top-class customer service. Custom aluminum signs are great for outdoor signs, retail signs and architectural signs to restaurant signs, lobby signs and any other format you could imagine. Durable: A lot of the signs we make are used outside of the building. Outdoor signage is an excellent way to grab the attention of passers-by and raise awareness of the brand. However, it’s also a poisoned chalice because the wrong symbol will give off a bad impression. When there are dirt and letters draped from a hanging sign, the customers aren’t going to think positively about the business. The good news is there is no need to worry about any of that with our service. Our metal signs are made right here in the US and manufactured with laser precision. The result is a long-lasting advert which can withstand anything Mother Nature throws at it. Like your business, the sign will be sharp and look incredibly professional. Strong: As well as holding up against the elements, aluminum is a very strong material. Most people think it’s weak because it’s thin and flexible compared to other metals, yet a .125 gauge is about as tough as you’ll find. The sign won’t go anywhere fast and will stand up to a lot of punishment. With our custom spec options, you can choose the type of strength your business needs to make sure it withstands the test. Light Up: Normal signs are fine, yet they lack a certain sense of excitement. They’re standard and don’t stand out from the crowd the way you wish they would. Thanks to our LED lit signage, there won’t be a car or individual that goes by that doesn’t spot the marker. And, because we’re a C45 listed establishment, the custom business signs we make are perfect. It’s not only our modern equipment which sees to that but the talented workforce with years of experience in the field. Once we’re done creating and installing what you need, the business will shine, literally and metaphorically. Nice Finish: Nothing about the aluminum look is cheap. As soon as the sign is ready to install, it totally looks the part. Be it a brushed, polished or mirrored finish, the material stands out for all of the right reasons. A lot of professional and corporate types use indoor aluminum signs for this very reason. Plus, they’re lightweight and don’t take up a ton of space, which makes them the ideal marketing partner. Price: For the standard that we offer, we believe we’re one of the most affordable manufacturers in the country. The secret behind our rates is the fact that we are 100% American. We’ve been in Anaheim California since our founding in 1992. What that means for the customer is that there won’t be any sneaky charges included within the price as the quote you get is the amount you will pay. That makes our products strong, beautiful and affordable, which is the signage trifecta. Accessibility: Another fantastic benefit for you is the level of control we provide. When there is outsourcing involved, it’s tricky to keep up with the different players in the game. 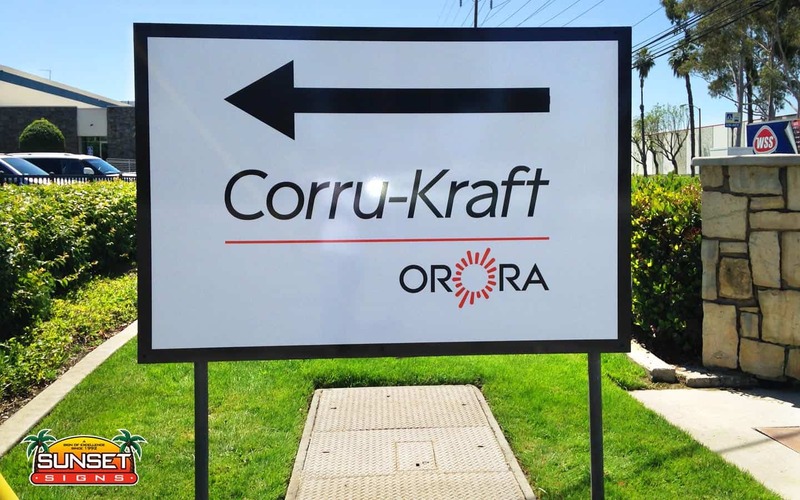 With us, the design, manufacture and installation of your sign are controlled right here in Anaheim. If you have any questions, you can pick up the phone or visit our website and find out the answers to your questions. We won’t ignore you or pass the buck like other companies do. Instead, we’ll give you an update on your order and a live estimate of when it will be ready. Peace of Mind: It’s easy to fear the worst when your business is on the line. We understand that outsourcing is a little risky, which is why we have comprehensive bonding and insurance policies. Choose us and there is no need to worry about anything going wrong because we have all of the bases covered. Just place an order and sit back and let us do the rest. Portfolio: There are lots of reasons we’re confident. It could be the 25 years of knowledge and know-how. It might be the newest tools we have by our side. Or, perhaps it’s the fact that we have satisfied over 10,000 customers since we started out. Check out the “Testimonials” section of the site to find out more about what the community thinks. If you need one of our advisors to guide you through how we can impact brand visibility and profits, don’t be afraid to pick up the phone. Let us help you transform your company today.